Final Ticket Deadline is October 4! Published on October 1, 2018 at 11:00 pm . Don’t miss your chance to win over $4.2 Million in prizes! Final deadline is October 4, but tickets are selling fast – get yours before they’re gone. 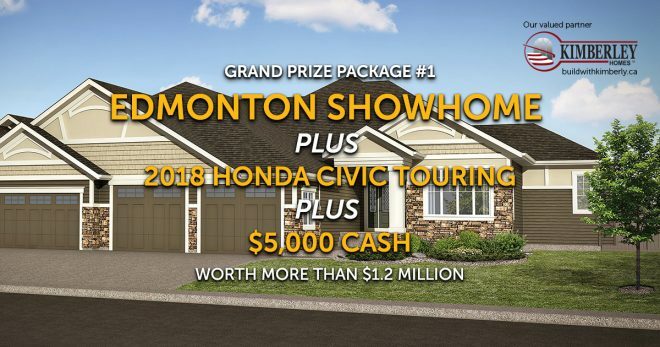 Win 2,731 prizes valued at over $4.2 Million – including 2 grand prize show homes, cash, fantastic vehicles, electronics, recreation, and more. Click the image below to take a peak inside the impressive Calgary Showhome. Click the image below to take a peak inside the impressive Edmonton Showhome. Don’t forget your You Win 50 tickets. One lucky winner will take home half of the increasing jackpot of up to $1.7 Million! By supporting the Cash and Cars Lottery and You Win 50, you make life better for Albertans and their families facing cancer. Win over $4.2 Milllion in prizes! Published on September 25, 2018 at 11:00 pm . Early Bird Deadline is 11pm on September 13. Published on September 10, 2018 at 11:00 pm . Don’t miss your chance to win The Best Early Bird Prizes ever! Time is Running Out! The Early Bird Deadline is just 3 days away! Win more than $500,000 in Early Bird Prizes. 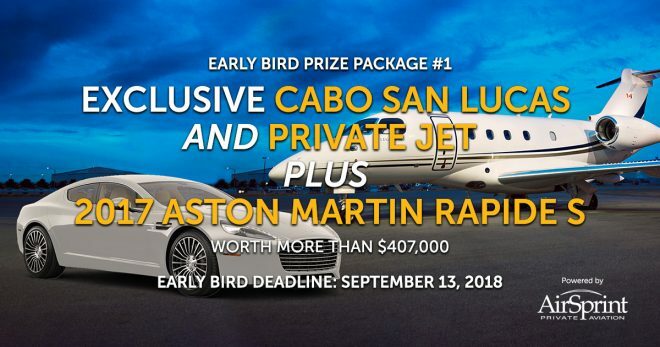 Thanks to our partners at AirSprint Private Aviation, we are able to offer the Best Early Bird Prizes Ever! 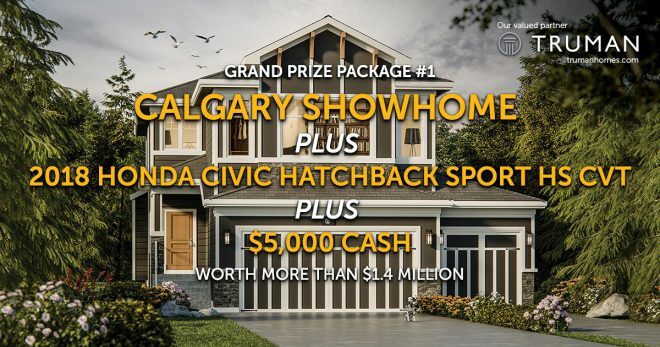 Win 2,730 prizes valued at over $4.2 Million – including 2 grand prize show homes, cash, fantastic vehicles, electronics, recreation, and more. Win an extra $100,000 just for buying early! Published on July 23, 2018 at 5:00 pm . Buy your tickets today to win the largest Loyalty and Early Bird Prizes ever! Buy your tickets before 11pm on July 25, and you will be entered to win $100,000 CASH – just for buying early! Tickets start at only $75! That’s not all! Your ticket stays in the drum for over $500,000 in Early Bird Prizes. 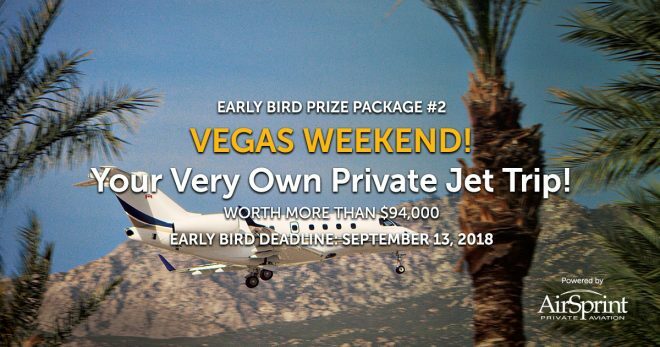 Thanks to our partners at AirSprint Private Aviation, we are able to offer the Best Early Bird Prizes Ever!